Of course it has to be "Demolition Derby" first! I feel your pain. At least yours got started as planned. Grrrrrrrr. Andy has been busy. That was just Monday. 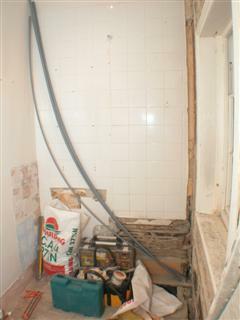 Tuesday the walls were plaster boarded. 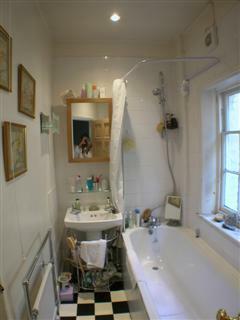 Yesterday sheets went down to take the floor tiles and the pipework for bath and hand basin was installed. Mine's still in limbo. Fun.